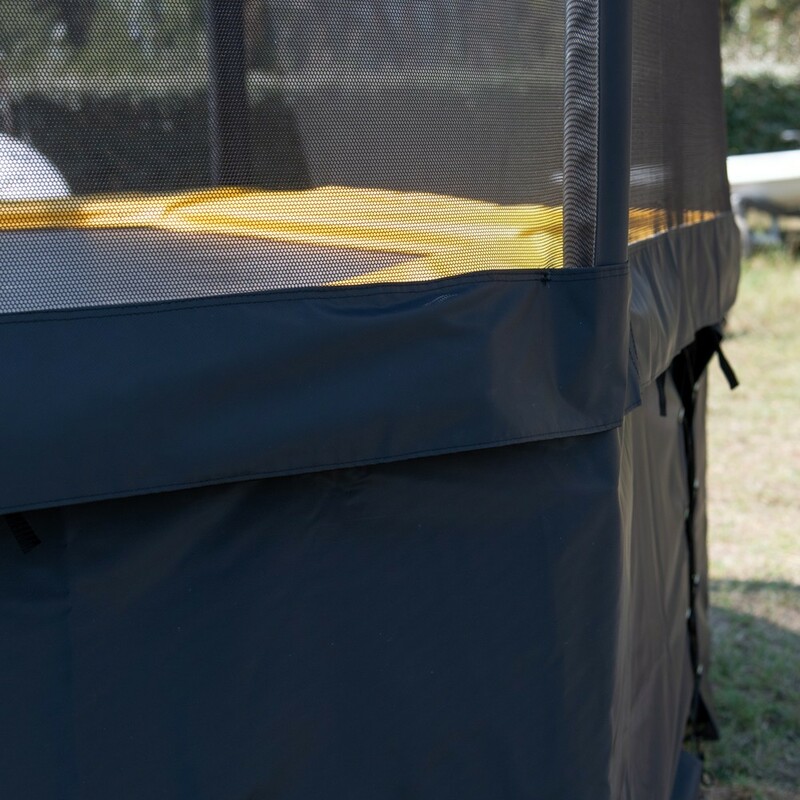 The frame has a 5-year warranty, the jumping mat has a 2-year warranty. 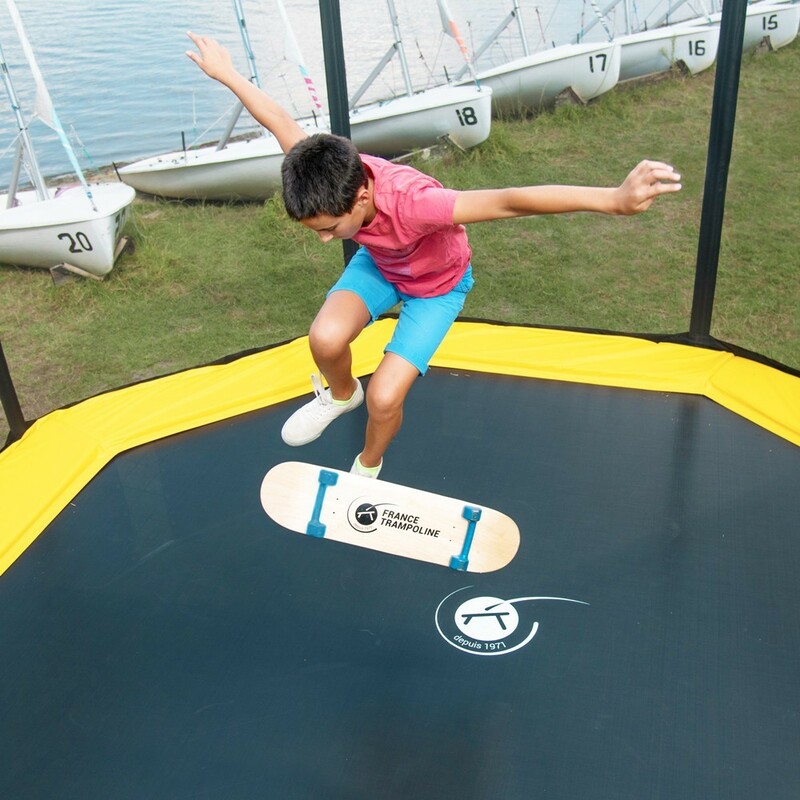 The safety pad,springs, skirt, and safety net have a 1-year warranty. Questions? Please contact our support team. 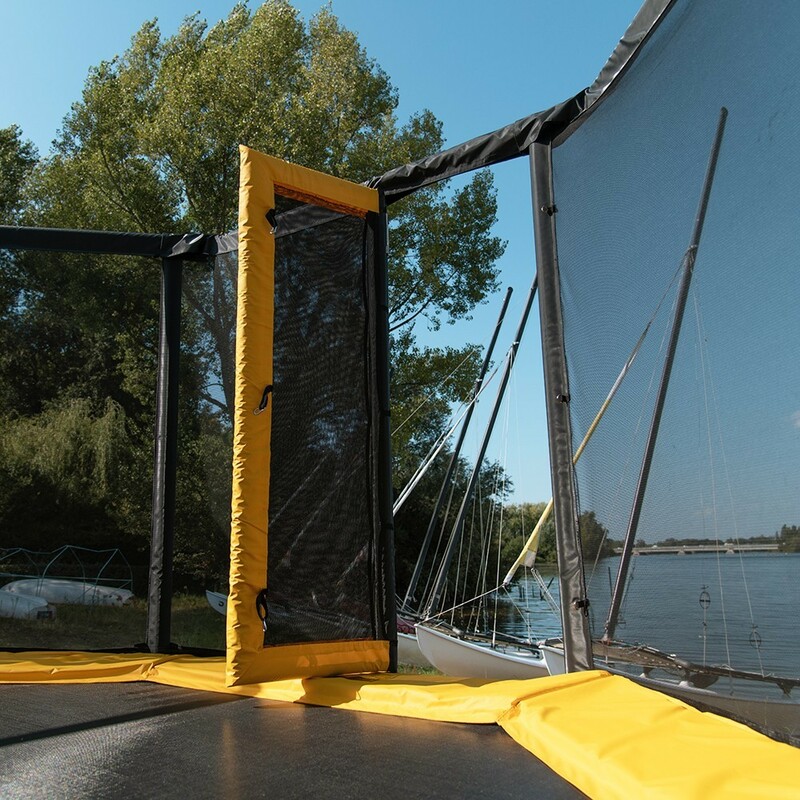 If you are looking for a professional trampoline for your establishment, our new product: The ProPulse 430 with its octagonal lines, cool colours and sporty look will be a certain hit with your clients. 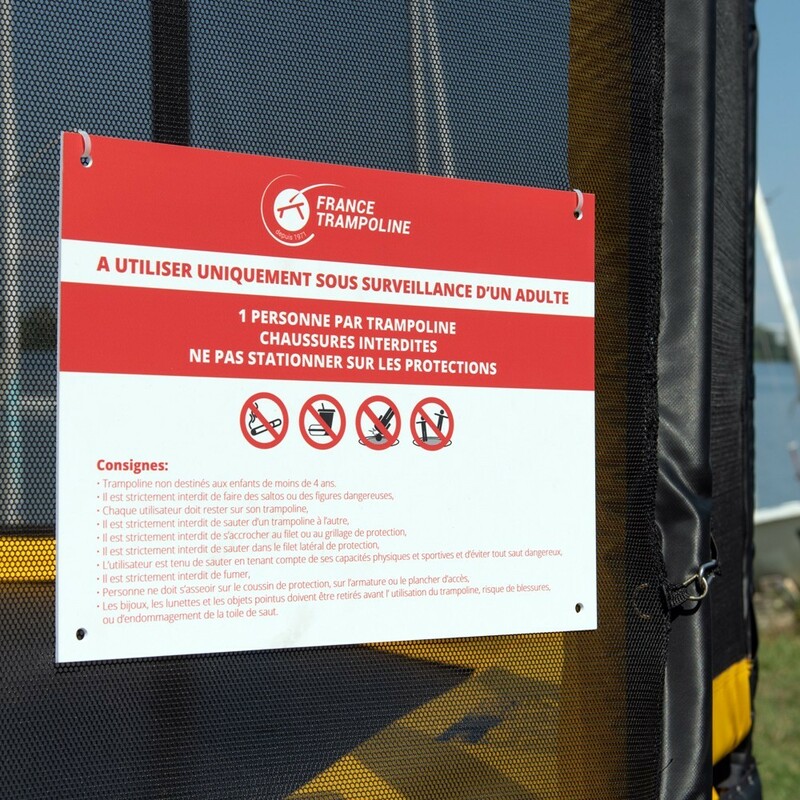 - Quality and solidity were designed and built into this professional trampoline. The structure is constructed from a quality hot-dip galvanised steel tubing - 2 mm thickness and 48 mm in diameter. 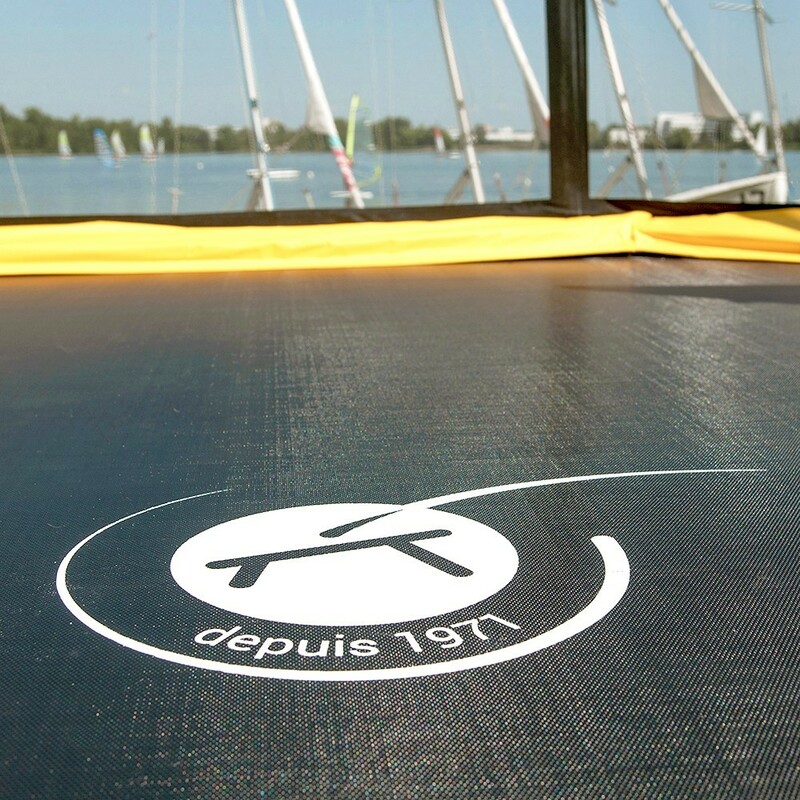 - A massive advantage of the trampoline is its octagonal shape, unlike a round trampoline it will not centre the users towards the middle of the jumping surface, it will keep them in their "zone". 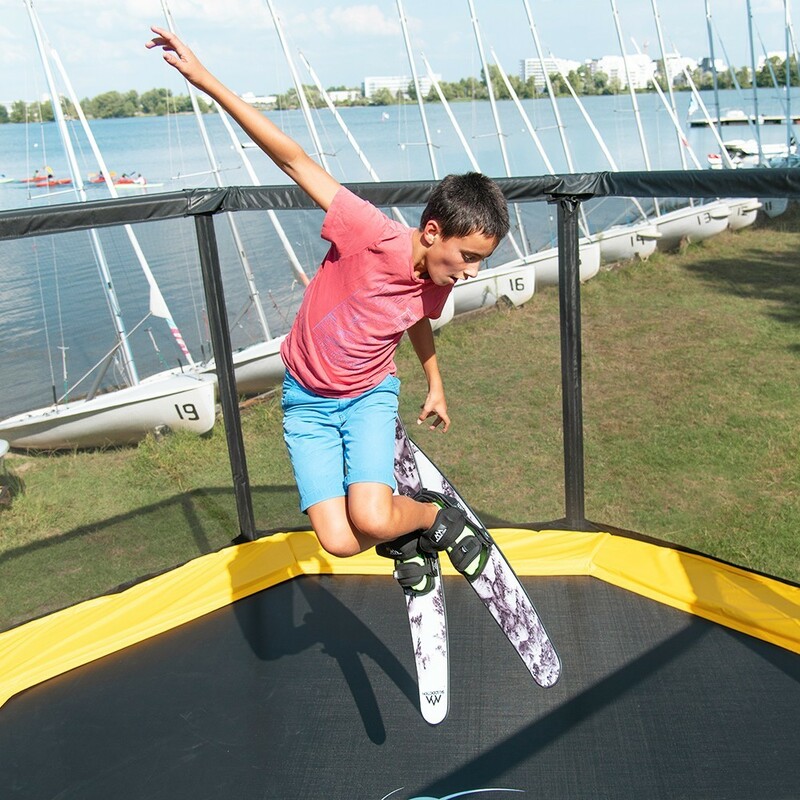 The 230 mm long springs make it possible to make dynamic controlled jumps. 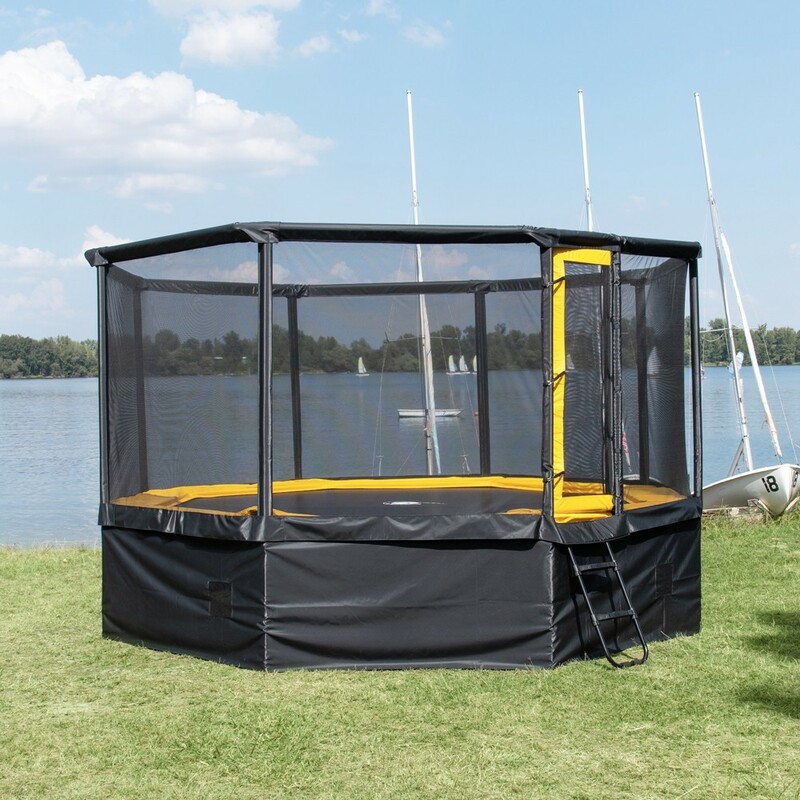 - Optimum safety due to the small calibre mesh protective netting, avoiding the risk of the user getting fingers caught in it or climbing on the trampoline. 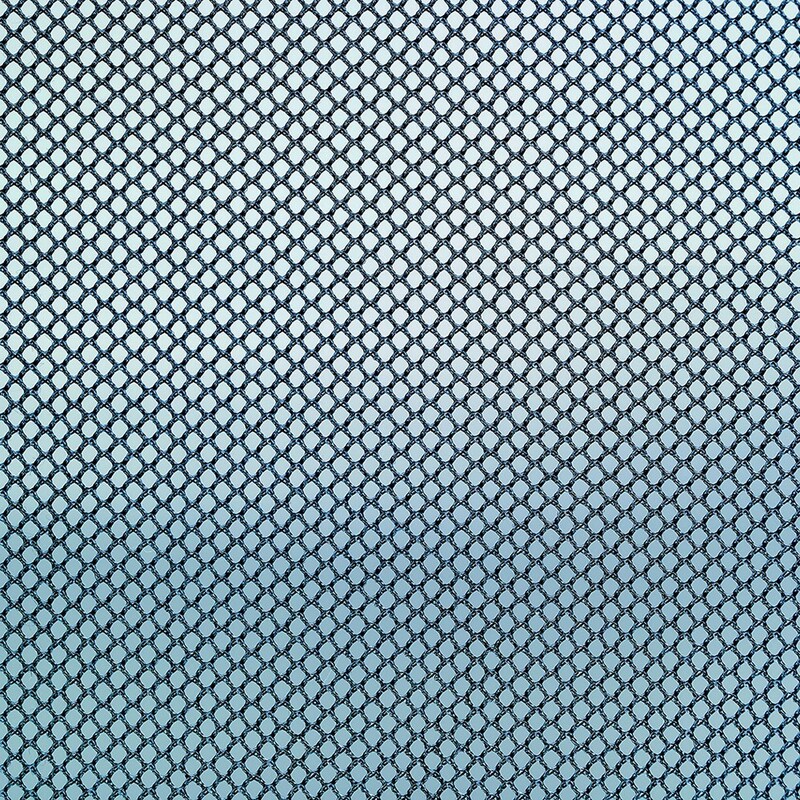 The entire safety net is supported by a steel framework. 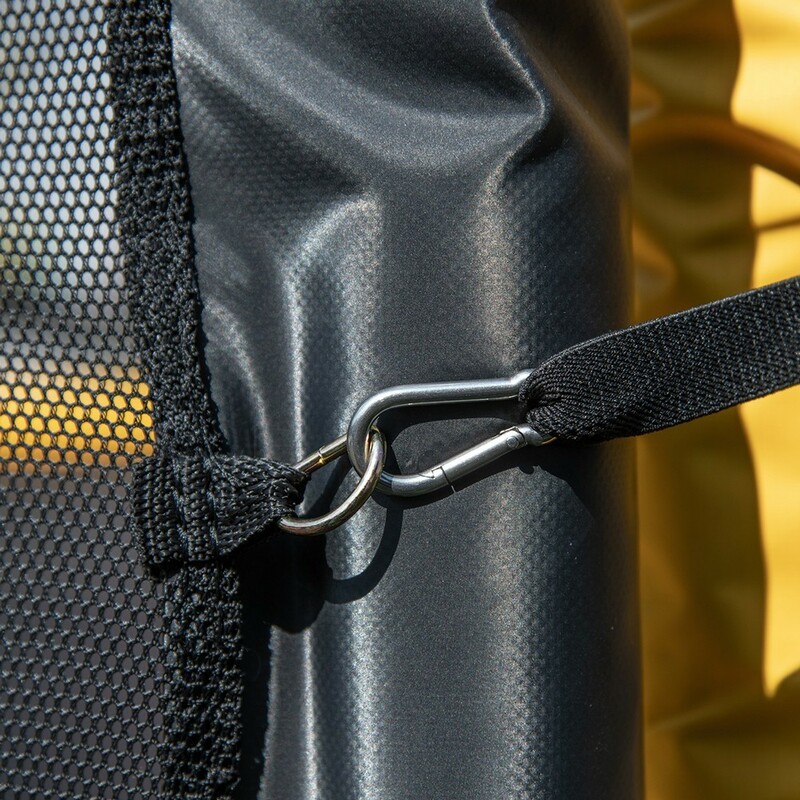 The enclosure poles are covered with foam padding protecting the users in case of a fall. 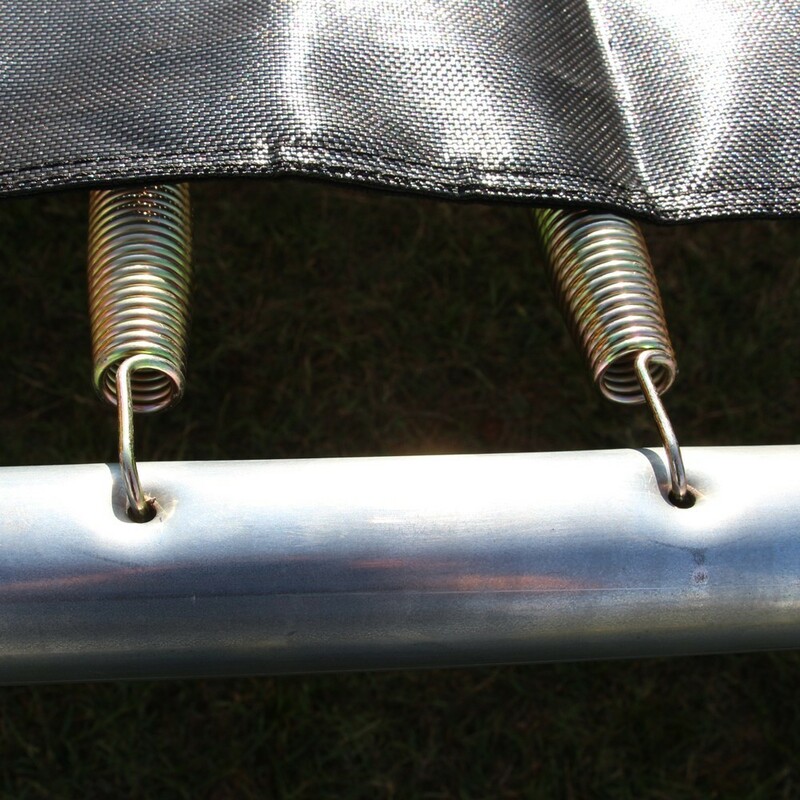 A protective skirt covers the springs giving even more user safety. 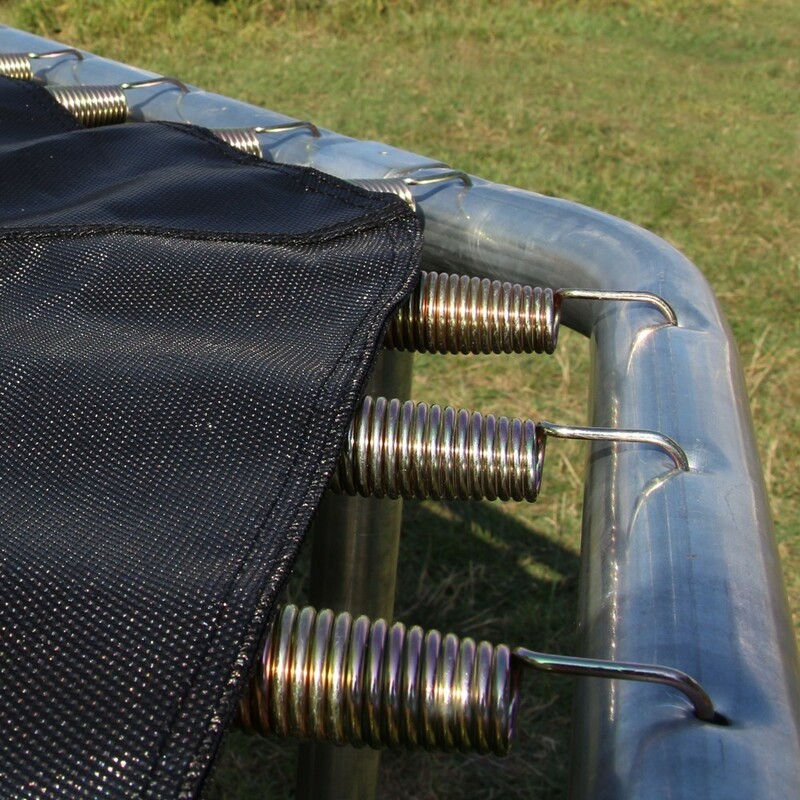 Topped with thick padding, so your trampoline can be a safe, fun experience for your customers. - A genuine entrance door provides access to the ProPulse 430 jump area. This door opens inwards to prevent unintentional exits. The door is secured with carabiners on each side.